The Social Work Alumni Network (SWAN) serves as a bridge between the University of Texas El Paso Department of Social Work, the professional social work community, and our Bi-national community at-large by providing recognition of alumni & student excellence, promoting professional networking and development opportunities, advocating for marginalized populations, developing fundraising opportunities for underserved community members and ensuring the continued distinction of the school. The University of Texas El Paso Department of Social Work graduates outstanding students every year. Our alumni change the world, mentor the next generation of leaders, and embody what it means to be a social worker in the 21st Century. 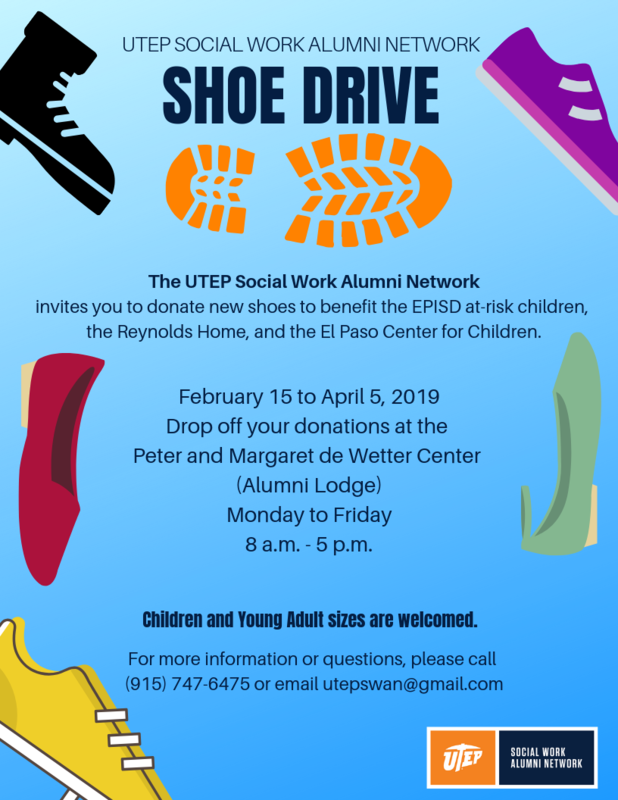 President - Robert Vara Jr.
All donated shoes will go to EPISD at-risk children, the Reynolds Home, and the El Paso Center for Children (Rapid Rehousing Program) for aged-out foster care young adults. Shoes for toddler sizes (age 2) and children sizes (age 14). Shoes for young adult sizes (female sizes 5-11 and male sizes 9-12). 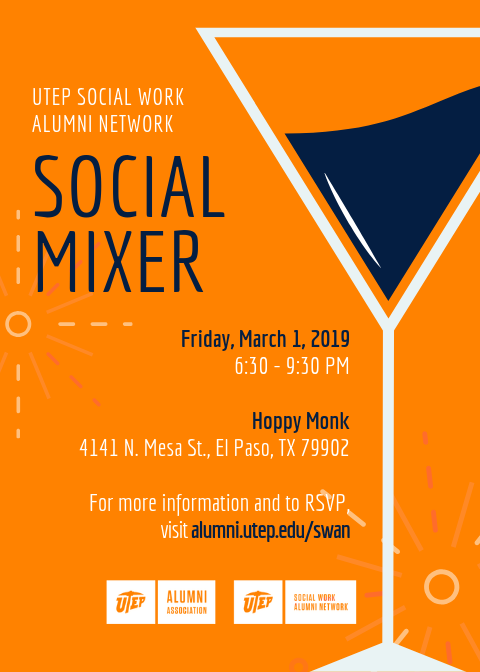 If you are interested in joining the UTEP Social Work Alumni Network or would like us to contact you to provide more information, please provide the following information.